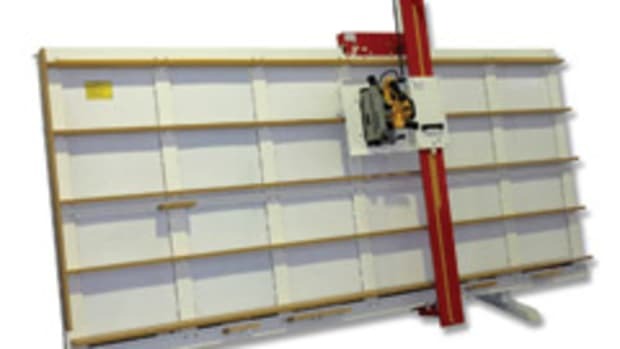 Clamps hold material against the fence on the 3700 Series of cross-cut saws to reduce access to the cutting area. 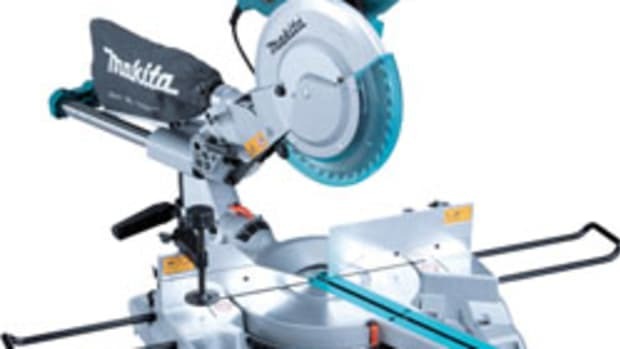 Original Saw has introduced the 3700 Series of cross-cut saws, designed to cut material under an impact resistant, polycarbonate guard assembly, allowing the cut area to be visible, while safeguarding the operator from debris and dust. “Through analysis, industry consultation and innovative engineering, we have designed safer cutting for the 21st century. 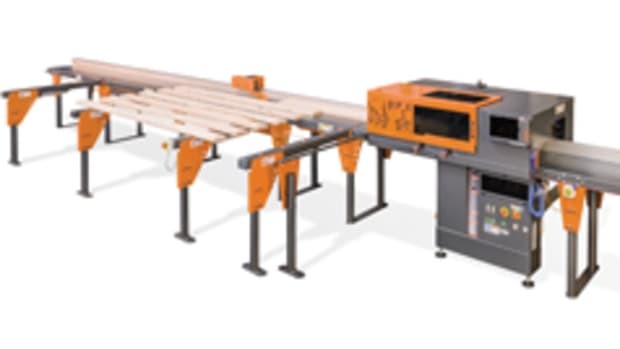 The 3700 Series cross-cut saws were developed to safely and effectively cross cut material including wood and wood products, composites and plastics. 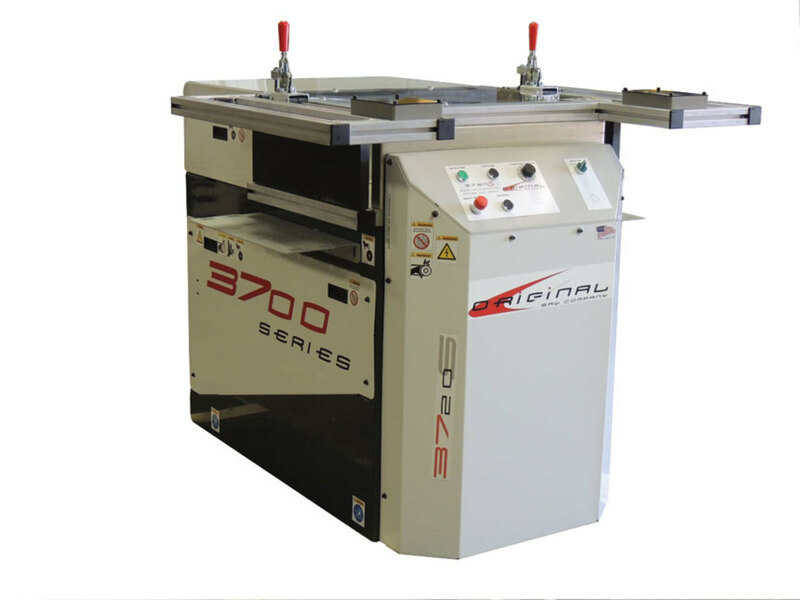 The blade is visible only when the handle is pulled, or the machine’s semi-automatic cycle is activated,” says product manager Chris Wagler. 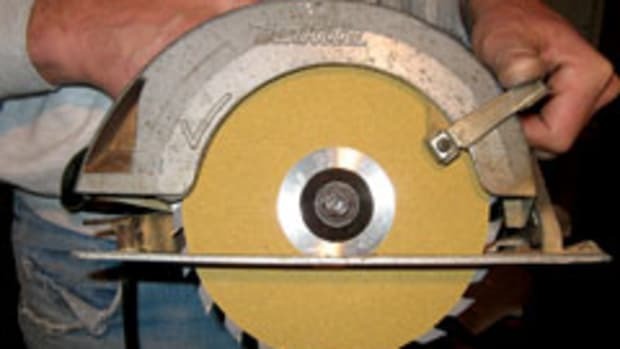 The manual machines - models 3710M, 3715M, 3720M, 3725M – have a pull-handle on the right side of the machine to pull the carriage radially ahead to cut through the material. When the tension on the handle is released, the carriage returns to its home position under the machine shroud. The semi-automatic machines - models 3710S, 3715S, 3720S, 3725S - use a belt-drive system to power the cutting carriage. 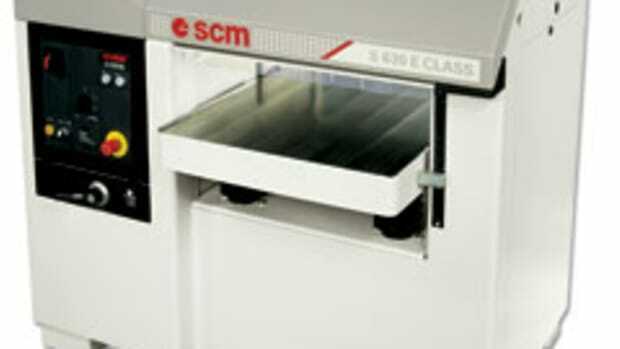 “The system is powered by a reliable DC motor, which is controlled by our time-tested drive units. 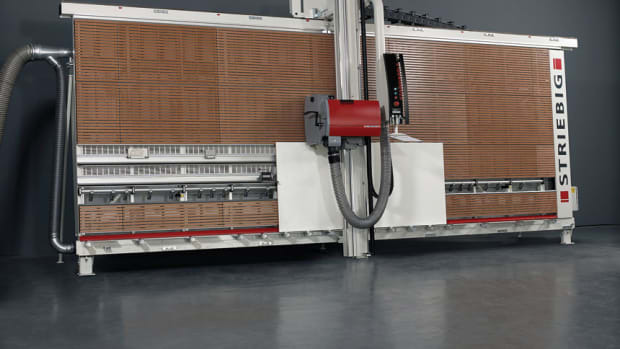 During the cutting process, the desired material is clamped either manually or pneumatically and the cutting head is controlled by the push of a button. 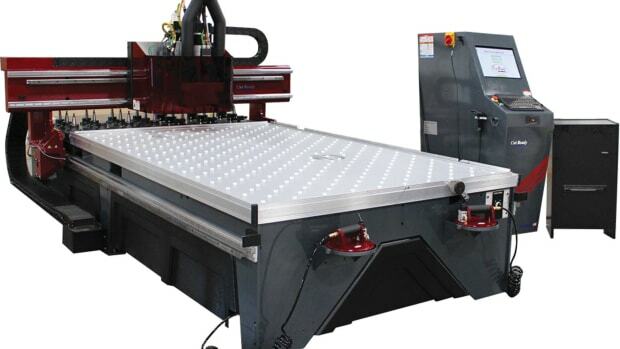 On these models, the carriage stroke or cut length is varied by the adjustable stops on the right side of the machine. 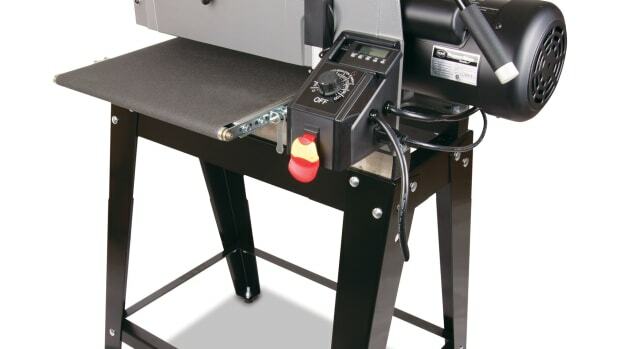 This time-saving feature reduces waiting by ensuring that the blade doesn’t travel farther than needed to cut the desired length,” says Wagler. Optional features include a pneumatic clamping system, material handling extension tables (roller or flat) and manual measuring systems. 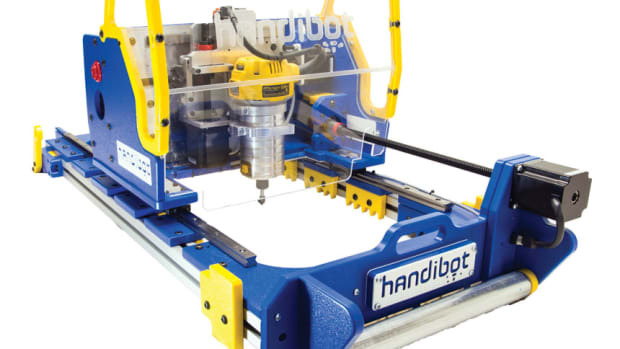 ShopBot Tools introduces the Large Sheet Tool for its Handibot portable CNC machine, featuring a rigid frame that clamps onto large pieces of material up to 24” wide.